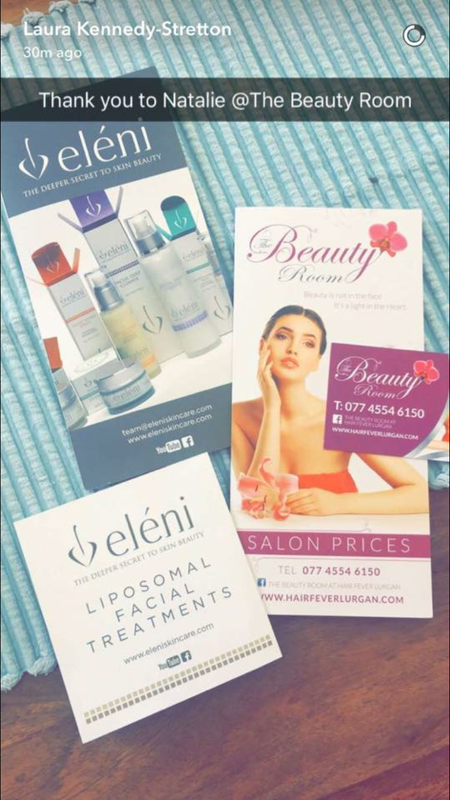 A few weeks ago, the lovely Emma contacted me and asked would I be willing to go for an eléni Facial in exchange for a review. Now anybody who knows me, can verify that I am a total product junkie and adore skin treatments- so of course I said yes! So the very next Saturday I made my way to ‘The Beauty Room’ at Hair Fever Lurgan. The Beauty Room is ran by Natalie, who greeted me with a refreshing cold lemon infused water-great for the skin and quenching the thirst, especially with all this fabulous weather are having at the minute! Previous to this I had never heard of eléni, so before I got my facial, I done a bit of my own research. Launched in 2014, it is the brainchild of scientist Piet Meyer, which claims to improve skin condition, through deeper penetration of the layers of the skin, promising to leave skin rejuvenated, clear and smooth. Plant oils and extracts make up the significant proportion of their ingredients, and they don’t test on animals or use animal or genetically engineered ingredients. A win win for me! You can check out their product range here. Natalie then gave me a Skin Analysis sheet to fill out to best prescribe which facial would be suitable with my skin type. After an assessment and chat about the rosacea which I had been suffering from, Natalie decided that I would be best suited to the eléni Liposomal Problem Skin Treatment. After relaxing myself on Natalie’s comfortable bed, she had more in depth look at my skin under the lamp. Aside from my rosacea, she told me my skin was in really good condition- I’ll put that down to the gallons of water I drink every day! Natalie first cleansed my skin using the Eléni Facial Deep Cleanse which is DEVINE. This mildly lemon scented cleanser is suitable for all skin types and leaved your skin feeling soft and relaxed. Following this a mask was applied, and while this was working its magic I was treated to the most relaxing arm and hand massage-complete with heated mitts. After a spritz with the Facial Toner, a shoulder, neck and face massage with the Re-Construction Serum literally left me walking on air. Natalie finished the facial with an application of their Eye Contour Soothing Crème and Mild Stabilising Moisturiser. As a sufferer of an oily T-Zone, I loved the fact that these products absorbed immediately into my skin. I have to say my skin felt amazing after it and the next day it was still glowing. Natalie also very kindly gave me a sample of their Blemishless Cream which I think is one of the best spot treatments I’ve ever tried. You apply this directy to any affected areas and literally the next morning any breakouts had nearly completely disappeared. This product is also suitable for reducing the appearace of blackheads too and if you suffer from oily skin it is definitely a product to invest in. I have spent a LOT of money on spot treatments over the years and this is up there as one of my favourites. I’m nearly all out so must stock up! All in all, I loved my eléni facial and would highly recommend you try one. I was extremely impressed with the quality of the products, their packaging and composition, and the price point is great too. If you are in the Lurgan area, do give Natalie a shout-she was so professional and I felt totally comfortable leaving my skin in her capable hands! You can check out ‘The Beauty Room’ here. 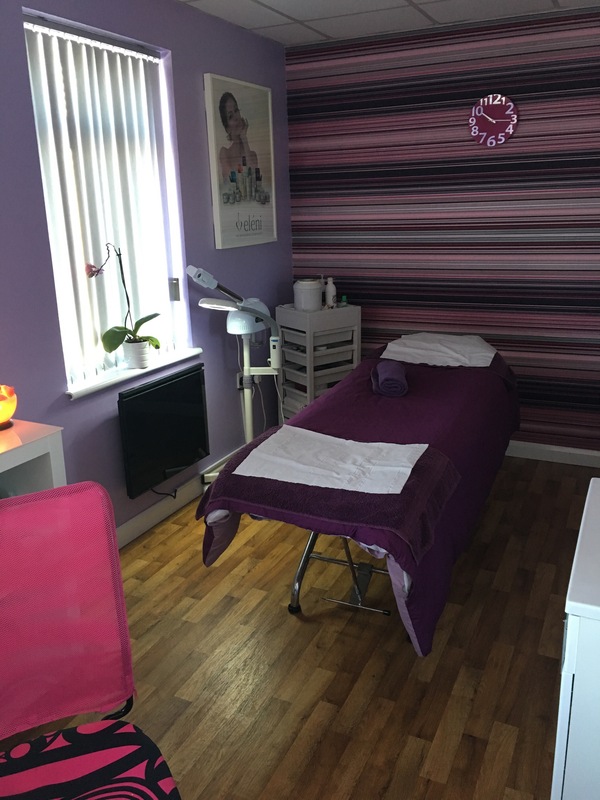 The facials are really reasonably priced and Natalie also offers a wide range of other treatments including waxing, tanning and Gelish nails. Thanks again so much to Natalie and Emma-a Saturday morning well spent! 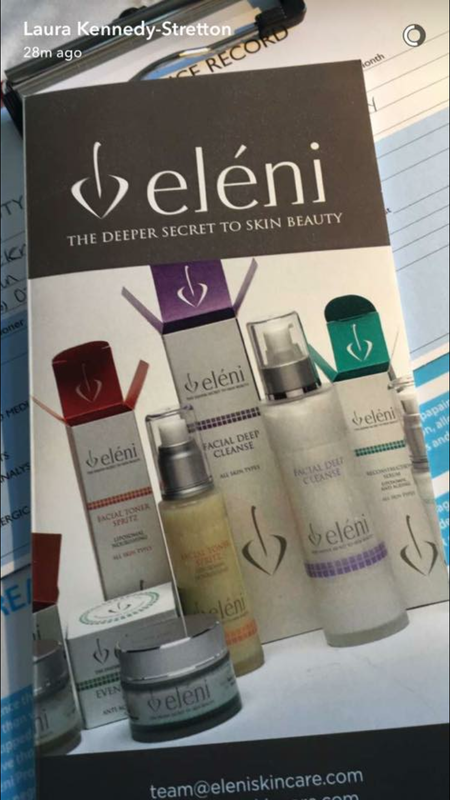 Have your tried any of the eleni range? If so, what are your go to products? ← Getting Back On The Wagon. Again. Getting Back On The Wagon. Again.